TunicPantsMaskBeltShow why Plo Koon was considered one of the most prolific Jedi warriors to ever travel the galaxy with this Adult Deluxe Plo Koon Costume. 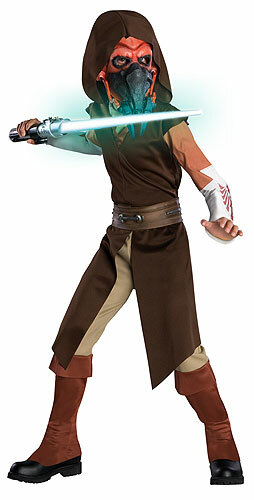 The Star Wars costume is comprised of a brown hooded tunic, tan pants with an elastic waist and a brown foam printed belt. Plus, the costume includes a high quality Plo Koon mask, which features a elastic strap with Velcro closure for a secure fit. You won't be disappointed with this Adult Deluxe Plo Koon Costume. 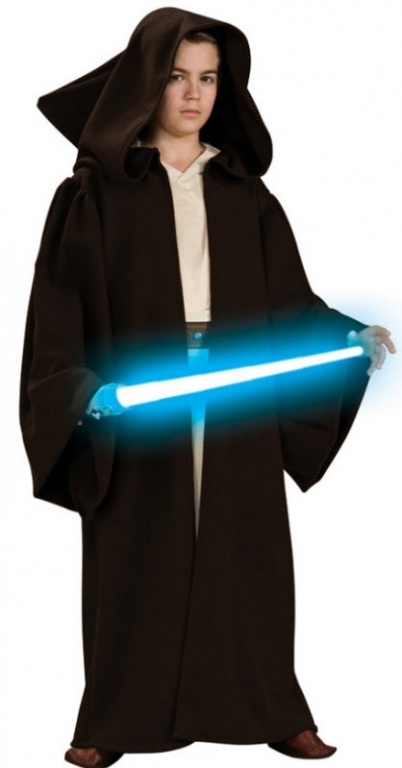 LEVER COSTUMES Adult Deluxe Plo Koon Costume and interesting games are what make a Halloween party fun. Here are three costumes that are bound to provoke comment and laughter, and a game alled the "spook race" that fits right into the witch-ghost-goblin atmosphere of this October celebration. Dimensions for the costumes can be changed to ccommodate youngsters of different ages.